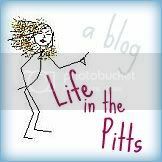 Life in the Pitts: Subtlety is overrated. Wow, those are great. I'm glad you know how to say those thing, they'll come in quite handy. Muy bien! Watching TV does help though they talk really fast. I like the pick up line at the end. Classy. I am very envious! I have always wanted to be able to rant in a foreign language. It sounds very sophisticated! Tu espanol is muy bueno. Los muchachos en mi clase de espanol hablan espanol muy escandaloso todos los dias. Es...interesante. That's about as far as my Spanish goes during the summer, but yeah. I'm jealous of the ASL. I'm loaded up on Spanish classes, so hopefully, I'll be fluent-ish when I get out of college, but I kind of want to take ASL classes too. I just know the alphabet. You are hilarious! Go Espanol! Well you got all the really important phrases down..I think you should be good to go! I've been sitting here for at least an hour getting caught up on your blog and it is hilarious! Wow, you are quite entertaining. Thanks for all the laughs! I've been pingponging (yes, it's a verb) around your site ever since beaming myself over from The Empress' place. Terrific job. I've been reading for a while now, quite happily, and haven't even scratched the surface of things to enjoy. For instance, I'm looking forward to reading why you hate computers, am heartened that you have more posts about burlap than depression (you see, I skew the other way) and that you are turning your character flaws into entertainment for me. And any friend of The Empress' is one of mine. If you'll have me and all. Otherwise I'd just be a stalker I guess, and who needs one of those.